Summer sales until August 8th on haberdashery, wool and fabrics! We are currently involved in the Journal de Couture project. The Ulule fundraising campaign has ended with 221 sales! Over 200 items are on sale! To keep the little heads and necks warm, we have concocted a scarf bonnet for you. This baby knitting kit is ideal in these temperatures! The bonnet and its scarf are knit in wool Ambiance from Fonty with needles 4. The knitting kit is quick to make. Start with the cap, then decrease to create the back of the head. The scarf is simply made in the jersey stitch. It is attached by an invisible seam to the cap. 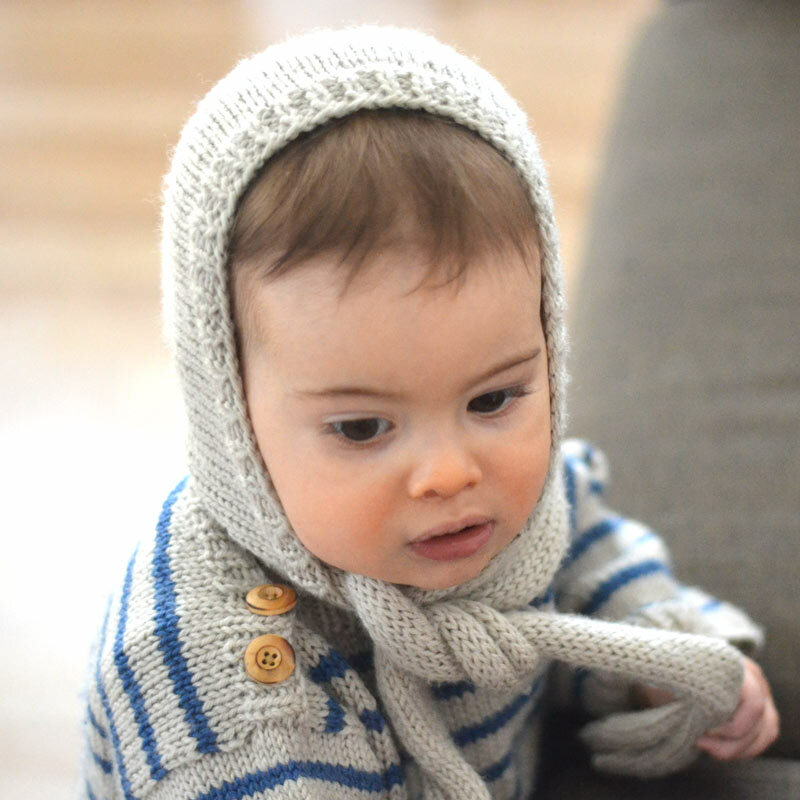 In this picture, our little A has a bonnet in Ambiance wool pearl grey 308 and his Augustin striped sweater assorted. 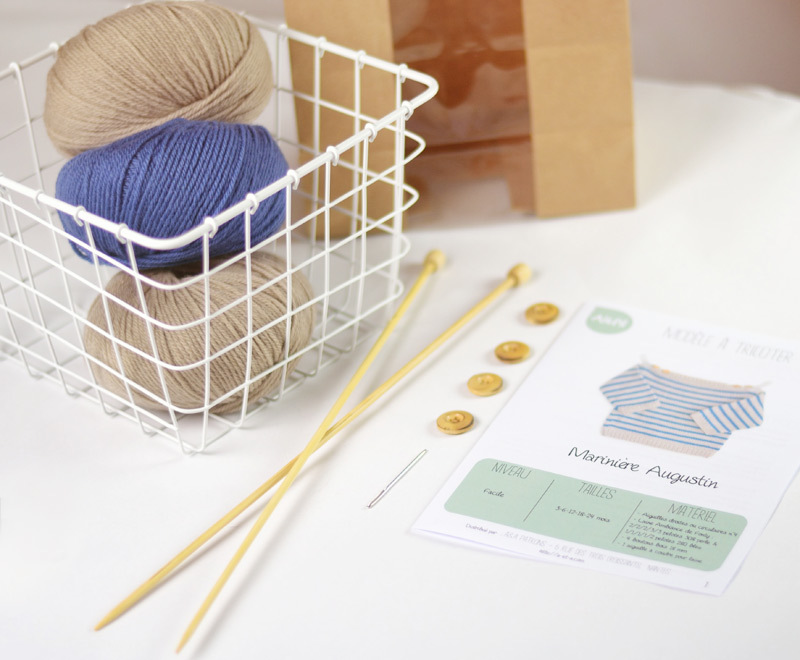 Rediscover also the Augustin striped sweater knitting kit , one of our beginners kits, very easy to make in striped or plain version. You dream of a nice warm pair of socks for this winter and you know how to knit? Two positive points to finally get you started. Knitting socks can be a little scary seen from afar, to start we knit in circles! But don't worry, knitting in circles is not difficult, here is a video that could help you. Traditionally, socks are started with the upper and lowered to the toes. Other models are presented in the other direction which can be not bad to try your sock at the same time as you knit. Stem and foot are not difficult to knit. For the heel, there are many methods depending on the desired rendering. You ask me the best heel method, here is one (in English on ravelry). The tip is the rewarding period of the sock: the final cuts! It asks to realize decreases according to the model, nothing complicated. The double-tipped needles are not very easy to handle at first, but after a first handling, it goes pretty fast. 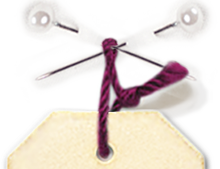 With KnitPro circular needles , you will use the magic loop method. It is a simple method which, for my part, takes a little longer. I advise you to take needles n°3. Tiny you tell me? But it is the ideal number for the socks, thicker than in the trade and thus quite warm but thin enough all the same to continue to enter in your shoes! Which wool will you choose? This choice is not insignificant. If you're going to knit socks, they might as well keep your feet warm and last a long time, right? - The Balade from Cheval Blanc balls. Among this wool, you will have the choice between many colors but also the ecological range! 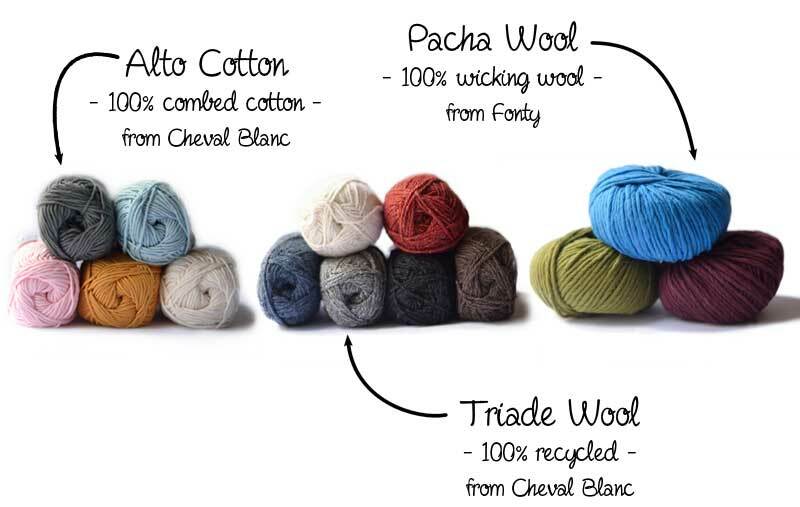 A yarn made from 100% recycled fibres: 70% wool, 20% polyamide and a mixture of 5% other fibres. If you want to make original, lean for the two-tone , you'll never get tired of it. This wool is knitted with needles n°3, still our ideal number to knit your first pair of socks. All you need is only one ball to make your pair of socks. Now let's go, you'll see, knitting socks is a wonderful experience! But which model to choose? Crucial choice because knitting socks can be a bit long, especially that you have to knit 2. You therefore need a model that will not tire you so that you remain motivated for the 2nd sock. Even if a simple jersey model can attract you at first sight, I advise you rather to start with a relief stitch or with an easy cable stitch. Personally, I also really like these and their little cross motifs. Have you decided? Then go for it. Warm socks for Christmas is a good gift idea, right? Do not hesitate to share your creations in wool socks Stroll on our Facebook page or Instagram #aetapatrons. Pouch sewing kit for Christmas! Sewing kits for beginners arrived! 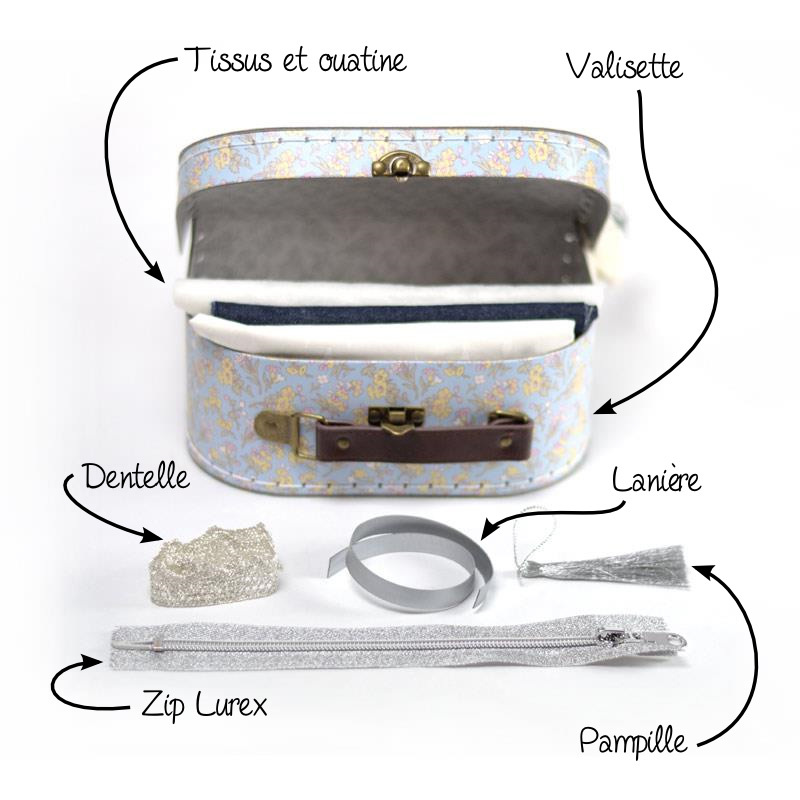 To offer sewn or in kit, it is the perfect couture gift for Christmas. They are easy to sew, without the need to reproduce a pattern. You just have to follow our detailed explanations in pictures. Pouch sewing kits are for beginner level. You just need to know how to use your sewing machine. You will learn with these kits, to master the zipper sewing. You will also apply some iron-on wadding that will give more resistance to the pouch. 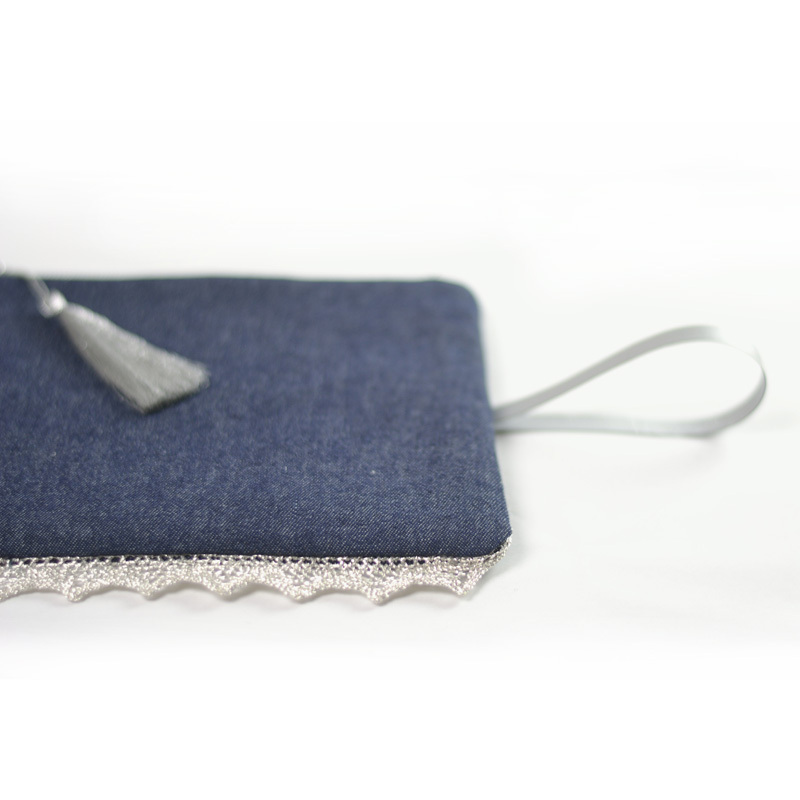 This pouch will shine in all your evenings: ceremony, new year, Christmas, chic party... The lace lurex and the glitter of the sequins give a very classy look. And to offer, what better way to suggest you a small suitcase ? You have the choice between the pouch with the small gold glitter strips on the velvet fabric or the pouch made of jean with silver lurex lace. The silver pouch has a small imitation leather strap and a pretty lurex tassel. 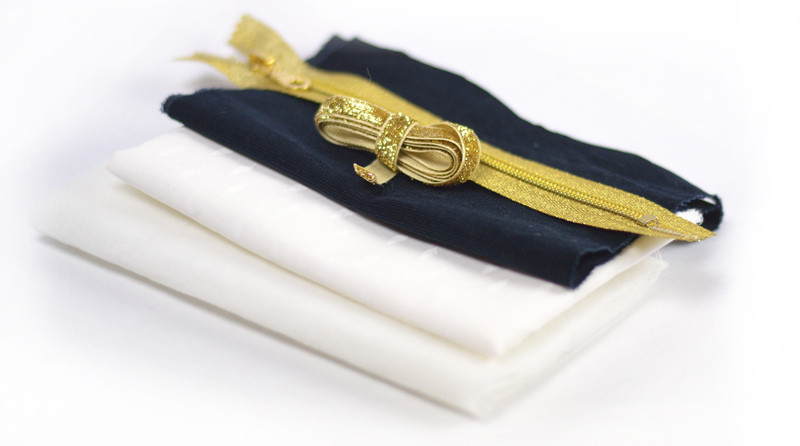 We have chosen for the pouches inside, a pretty cloth printed cream with small white cotton feathers. The fabrics provided will allow you to make several pouches by choosing yourself zippers, pompom braid, lace, bias, piping, etc..
More than 130 products sold off! Summer has arrived, it's time to present our sales! We handpicked over 130 items on sale. Fabrics, artificial leather, mesh fabric and devoured fabric, all our embroidery canvas! 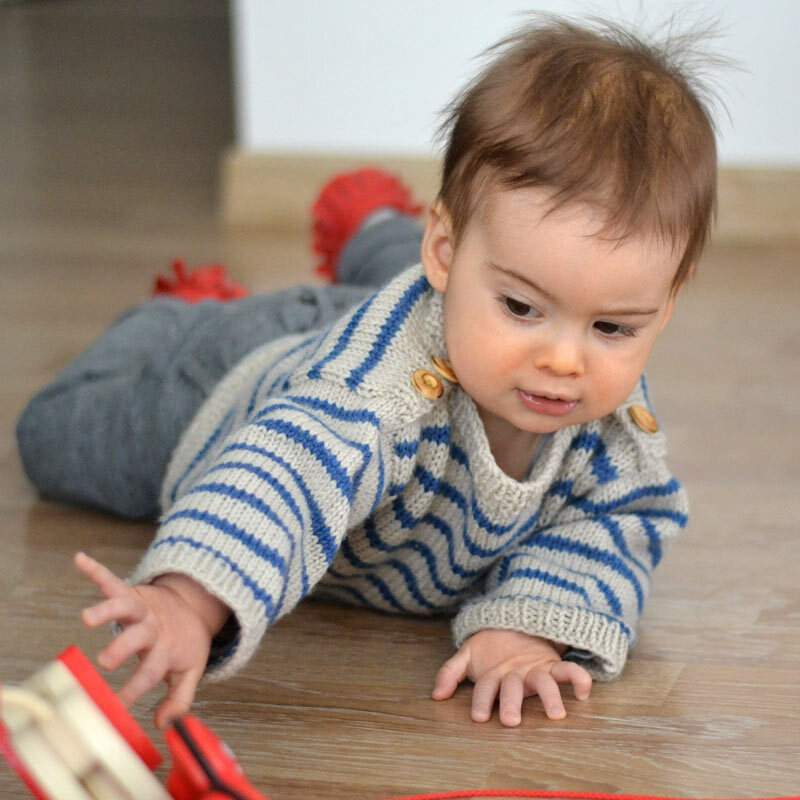 The baby knitting kit of the pretty striped sailor sweater Augustin is out! This small model has to be knit simply from the bottom up, starting with a few rows of ribs 1/1 then some jersey. The body is knitted in one piece, alternating stripes is easy! The sleeves require some reductions, but this model remains accessible to beginners. The Breton sweater has to be knitted in this beautiful Ambiance de Fonty wool, an ultra-soft wool (it's normal, it's Merino) and that can be washed without problem by machine. 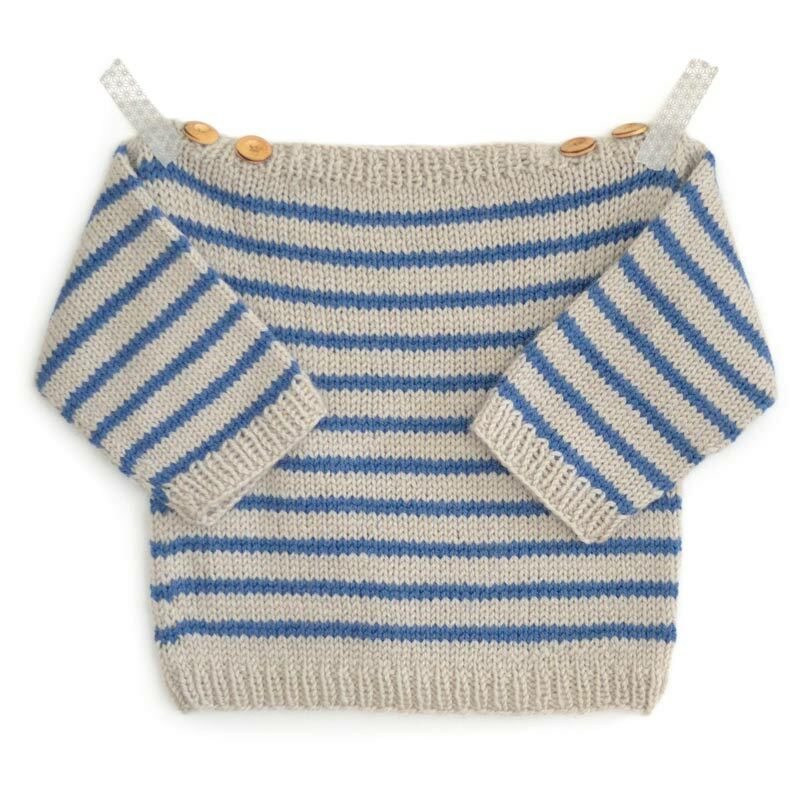 The sailor strip sweater model sizes go from 3 months to 2 years. You only need 2 balls to the bottom and 1 ball for scratches to the 1 year size. Plus: you choose yourself your colors! If you want an ecru background with yellow mustard or blue background with gray stripes, it's time! Winter begins to be felt timidly in this early 2016 ... the perfect time to get back to knitting! Since I give knitting lessons (it's been 6 years! ), I had a lot of people completely beginners, ie which start from zero. This allows me to make you a basic tips small summary if you feel the urge to begin knitting. What do you need to start knitting? Very important ! It's the first thing you need to find. It is important to start knitting small as this can be very frustrating to quickly begin a long scarf and realize in the middle we lost the motivation to finish it. I suggest you start with adult accessories or ultra-easy baby clothing. The easiest beginners stitch is the garter stitch. You can also test the jersey stitch but for the ribs, you'll see it later! 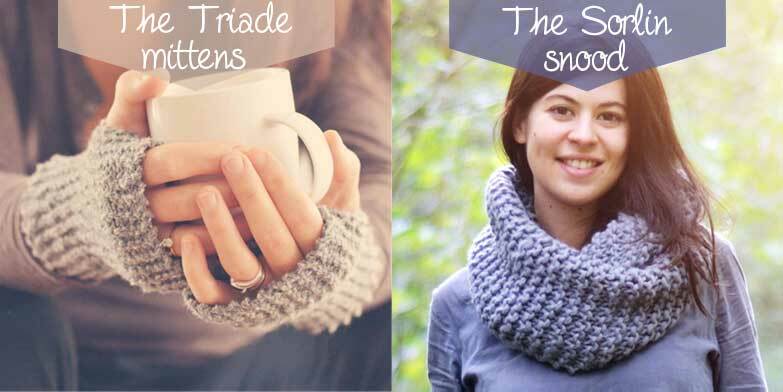 The snood (or neckband) and mittens are ideal to start. See eg Sorlin Snood with needles 15 and Triad mittens with needles 6. It's straight on and all in garter stitch. No reduction or increase but a quick super nice finish! 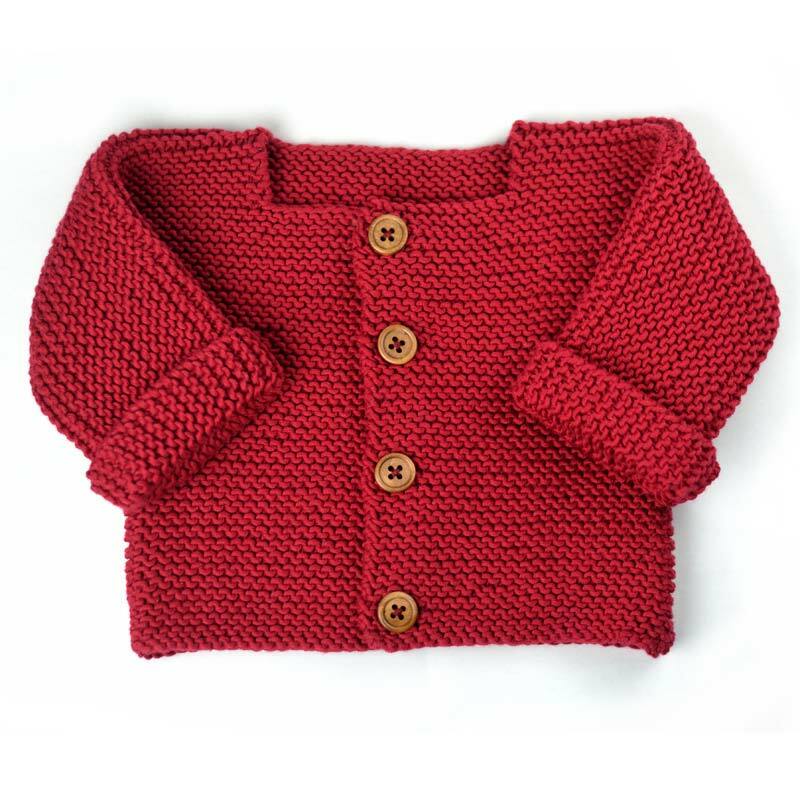 For a baby clothing, I recommend the Paul vest, slightly more complicated than the accessories (you will have to increase by several stitches) and needles are a little finer but clear explanations will guide you easily to the final sewing and you will be proud to offer this little jacket to a baby. It is also available in kit. Choose what is commonly called the "wool" is not so obvious. You will find balls in many haberdasheries with very pretty colors but unfortunately not containing 1 gram of wool! 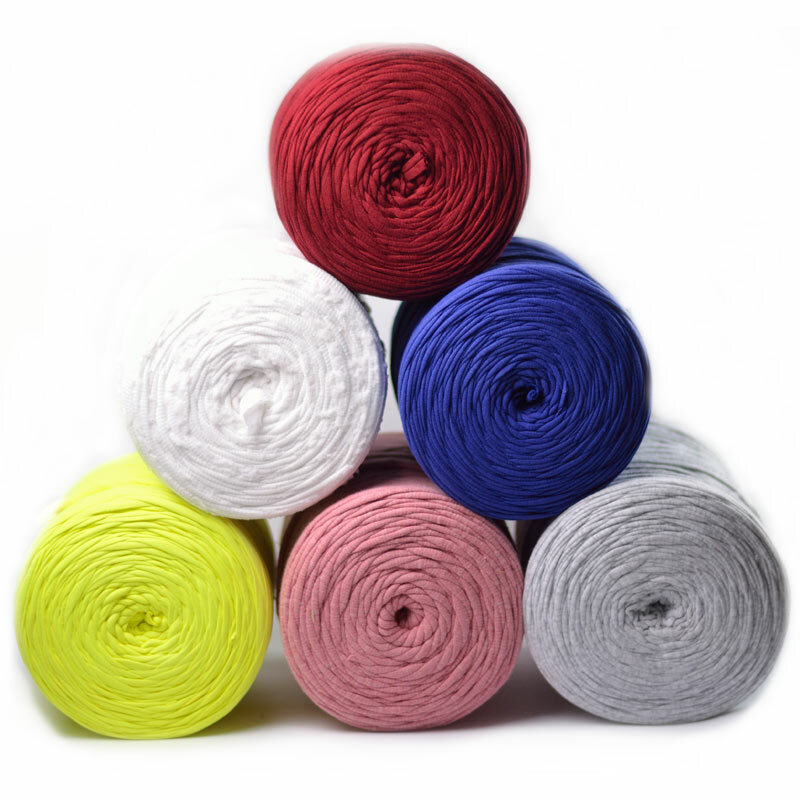 I made the choice to offer you on the website, only knitting threads with a majority of natural material. The material may be: from the sheep wool (mostly merinos, very soft), recycled yarn from different materials, alpaca (slightly hairy and warmer), mohair (cloudier), cotton (lighter for summer) or even cashmere and silk. For beginners I suggest you buy a ball of 100% wool, 100% recycled or 100% cotton (if it is for the summer or for a baby). Other wools are more expensive and sometimes it is less clear to observe our meshes or unravel without nodes (alpaca and mohair particular). It is very important to well choose the thread thickness to begin knitting! It is even essential. 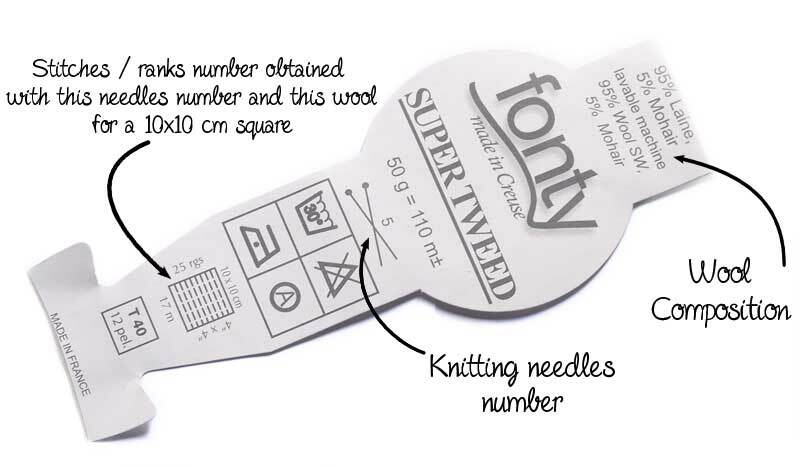 The wool ideal thickness that I recommend to begin knitting is for needles 5 mm up to 15 mm. The pair of knitting needles number depends on the yarn you've chosen (and if you were paying attention, so printed on the ball label). The knitting needles numbers match their diameter in millimeters. They range from 2 mm to 25 mm or even 30! 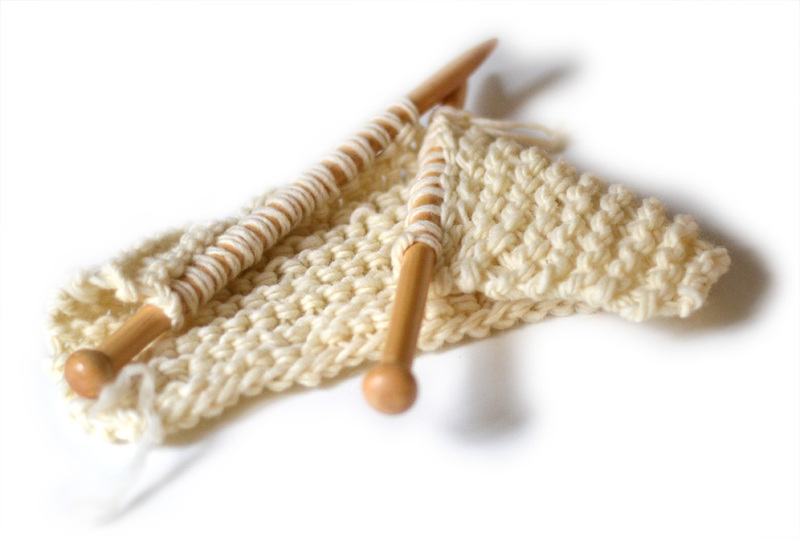 The circular and double-pointed needles have been developed for seamless circular knitting: hats, gloves, mittens, socks, etc. But interchangeable circular knitting needles new lines (Knitpro line for example) can be very practical to knit straight works (in two-way) and circular, no need to buy both straight needles and circular needles! They need a small starting supplementary budget but they be used all your life. For beginners, if you do not yet know if you and knitting that's for life, I suggest you opt for straight knitting needles 25 to 35 cm long. 25 cm is a minimum and for small works for babies and children. You will also have the choice in the knitting needles material! Increasingly type of needles exist and that's good. There are metal needles, used since time immemorial, they have the advantage not to break but can be heavy (in addition to knit), too slippery to begin, noisy and cause allergies. You can choose also in wooden needles: bamboo or birch. 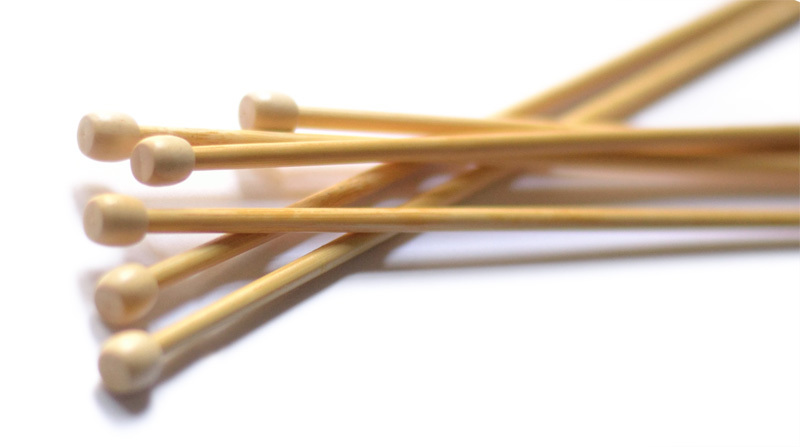 Wooden needles are much lighter than metal and do not let slip the stitches. Bamboo remains fragile for small sizes needles (2 to 3.5mm) but the birch is one of the toughest! See our range of 100% birch Basix Birch Knitpro needles. In addition, the wooden needles are very pretty! It remains plastic needles that I prefer not to propose, they cling too much wool, stitches do not slide well and the feel always appeared to me unpleasant. By cons they do not break and are also very slight. Go for A&A patrons madness sales. We have selected many fabrics, wool, knitting magazines, charms, lace, ribbons and braids for these 2016 winter sales. Find more than 100 items on sale up to 50%! Trapilho is back in our online haberdashery. Straight from Portugal, these big balls of thread from recycling are ideal to quickly crochet bag and basket. blue, dark heather gray, light heather gray, beige, pink, white and especially fluorescent yellow! Through this blog, we talk mostly of our products, our discoveries and tutorials that have been developed, but we do not talk much about us, the one that founded the company A&A Patrons up people who now develops it and the various activities that have been developed over time. Indeed, we see regularly, talking to those who move at our offices in Nantes, they are amazed at our many activities and they would like to learn more! We truly immersed in our archives to tell you all about it! 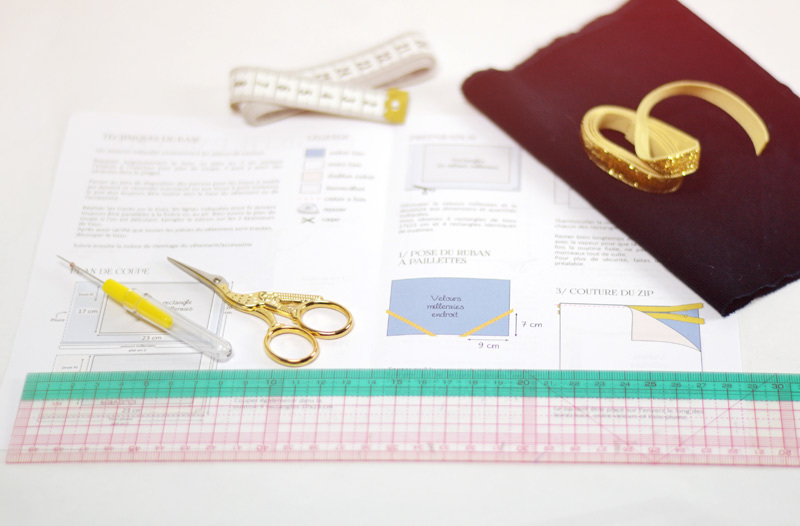 The company was founded in 1989 in Nantes, by the will of Nadine, trained in fashion design professorship, to create her children sewing patterns brand. A few years later, Nadine noted, making animations for sewing in Paris Tissus Reine (a famous fabric store near Montmartre), a need for people to get personal couture training. She decided to offer household sewing workshops and a new service custom tailored patterns. Meanwhile, Nadine answers many requests for patterns for making and thus develops her own fashion design office for ready-to-wear. Then in 1994, A&A Patrons needs to expand and Nadine opened her first premises in Nantes. In addition to ongoing activities, such as creating "wallet" patterns for children and sewing workshops, Nadine launched herself into the fashion design professional training. Then, in response to a growing demand of her students of a need for technical haberdashery (colors choice, technical advice ...). Nadine changes her premises in1997 to open her haberdashery in Nantes historical center while developing her Vocational Training Centre: The haberdashery on the ground floor, the training center on the second floor always coupled with the fashion design office. With the increasing development of the Web, and thanks to Yannick computer skills, her husband. 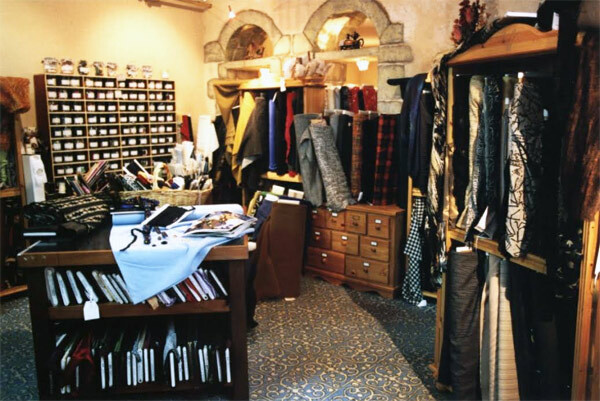 A&A Patrons decides to go in 2000 in the online business by opening one of the first online haberdashery. In 2008, Nadine, to better manage her business, decides to refocus her structure on the online haberdashery and fashion design office and so stops her vocational training activity and the physical haberdashery (the store located in Nantes). The online haberdashery gradually takes the scale and passing the years, the technology of the first website becomes obsolete. In 2012, Yannick completely recasts the online haberdashery to become the site you see today (which is still evolving every day!). 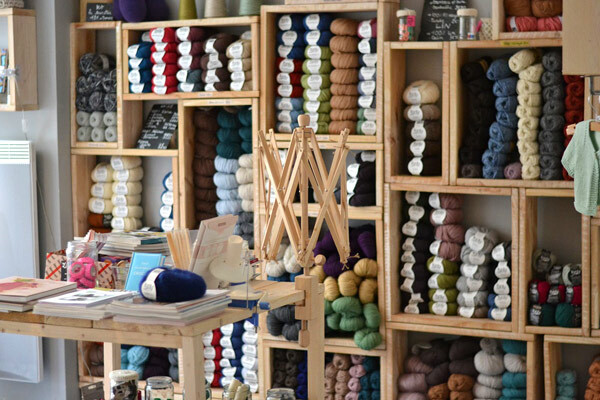 The same year, Amandine, the Nadine and Yannick's daughter, wool & knitting passionate, is embarking on a workshop-boutique in Paris (Aléfil) in order to propose French quality knitting wool, haberdashery and knitting, crochet and sewing courses. 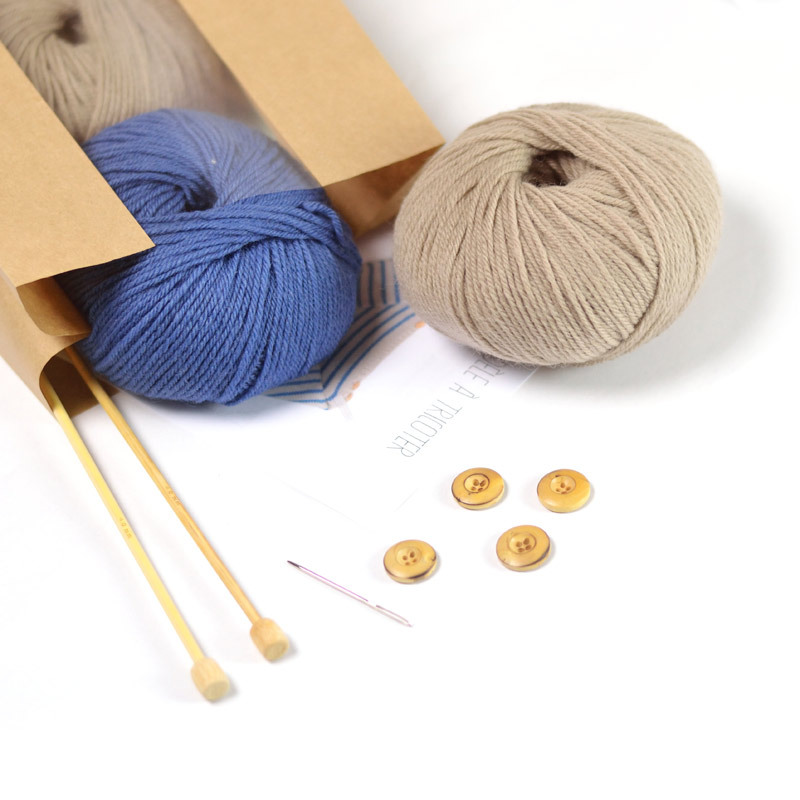 A live exchange takes place between Aléfil and A&A Patrons, the proposed haberdashery coming directly from A&A Patrons, the wool offered on A&A Patrons coming from the Aléfil shop. The Aléfil workshop-boutique is naturally called "the daughter structure" of A&A Patrons. In 2013, Amandine moved to Nantes, closes Aléfil and fully supports the mother structure for both the online haberdashery and the fashion design office, while continuing her knitting, crochet and sewing course activity (at Henry & Henriette particularly,). Today, you would have understand it, A&A Patrons has a strong experience in both fashion design (more than 25 years!) but also, and in addition, in creative leisure, technical haberdashery, (mainly French) with complementary family skills! Did you like the little story? Arrival of organic sweatshirt fabrics! The Couture Journal in pre-sale! Bird cloth Sirli baby romper pattern! What sewing ideas in jacquard fabric? © 2019 A&A PATRONS. All rights reserved. On line since 2000.